In this era of low oil & gas commodity prices, improvements to process and technology efficiencies begin to emerge as a critical success factor. Aging assets across application areas that were economically viable when oil prices were high, are now too inefficient to compete in a low-commodity-price economy. According to McKinsey & Company benchmarking research, a 10% improvement in oil & gas industry production efficiency can yield up to $220 million to $260 million bottom-line impact on a single brownfield asset. These types of potential gains are too enticing to ignore. Fortunately, new technology breakthroughs in the area of digitalization now make it possible for oil & gas companies to seize upon these efficiency improvement gains without having to incur high CAPEX and OPEX. In fact, the World Economic Forum is predicting that by 2025, new digitalization technologies will add $220 billion in value to the oil and gas industry. Digitalization, and the Industrial Internet of Things (IIoT) trend have been fueled by the widespread distribution of low-cost smart sensors, increased connectivity, and new-generation data analysis tools and software. Within oil & gas field operations, new waves of technology roll in on a project-by-project basis. Over time, an oilfield may have five different separator types, for example, with 20 or so iterations of each type. These systems and devices can be scattered over large areas spanning many kilometers, perhaps in locations with no cellular infrastructure. Therefore, a hydrocarbon producing asset may have many different data models for the same device, and may lack connectivity because of the remote geographic location. Manually extracting data from all of these various devices is cumbersome and costly. Digitization offers business advantages within these scenarios. In the case of field drilling and extraction operations, for example, low-powered wireless WAN connectivity technologies can gather and aggregate sensor data from a 20-kilometer radius into a hub and then relay that data to the cloud. Low-cost yet powerful industrial data processing infrastructure, makes it economically feasible to place ruggedized data processing devices at the edge of the network. This relieves the burden of having to test and implement data models at some centralized location, which is far away from the source of the data creation. Data processing at the edge of the network benefits oil & gas operations in two ways. First, it enables centralized data centers to focus resources on higher value tasks, such as more complex analytics. Second, it permits some degree of limited analytics at the edge and, in some cases, action based on those analytics can be taken on a more immediate basis. Devices such as pumps and compressors, are equipped with variable speed drives (VSD). Both the VSDs and the attached digitized pumps and compressors can now gather data at low cost, making core equipment such as pumpjacks more efficient and less costly to maintain. The data collected by these edge sensors and variable speed drives can be analyzed by edge computers and allow for maintenance strategies that evolve from reactive to predictive. That increases the uptime of pumping operations, and lowers the costs of maintaining the equipment. Maintenance can also be improved in the domain of pipeline operation as a result of remote pipeline monitoring. 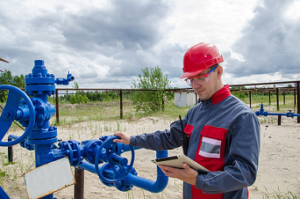 In this scenario, sensor measurements feed into an analysis engine which paints a picture for operators of what is happening within a pipeline. The technology can detect unplanned leaks that could result in more serious commodity releases, thereby improving operations and safety, and avoiding millions of dollars in unplanned direct costs. Interested in more resources? 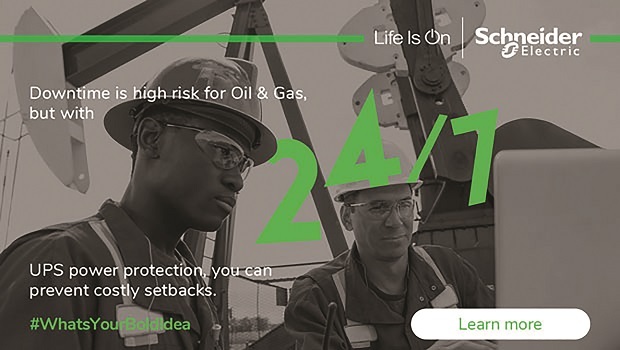 Check out how Schneider Electric helps companies avoid unplanned downtime and click here for specific oil and gas solutions. Excellent post ever I had visited. I deal with such news story a lot. Extremely helpful knowledge particularly the terminal part. Thanks for sharing this wonderful information with us.